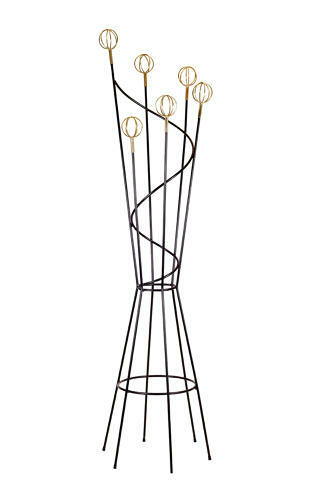 Fabulous lacquered metal and brass coat stand by Roger Feraud. Known as the Geo Astrobale model, designed in the 1950's. An iconic French design classic.